When Kent County schools called off classes during the “polar vortex” last week, they didn’t call off hunger. Students who were used to getting breakfast and lunch at their school cafeterias were now looking for meals at home, where many of their parents and pantries were not prepared to feed them. 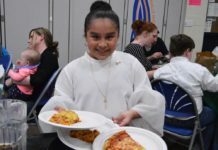 “There are ongoing issues with childhood hunger in this community and it was just exacerbated because they weren’t able to access food for the whole week,” said Carol Paine-McGovern, executive director of Kent School Services Network, a nonprofit group that helps coordinate health care and family assistance services in some 44 schools in five districts and the Kent ISD. But thanks to volunteers from local schools, Kids’ Food Basket and Hand2Hand children’s food ministry, many of those young people and their families were able to eat healthy meals despite the interruption caused by the cold weather. “It was a real community effort rallying around these families,” said Paine-McGovern, whose agency coordinated many of the feeding efforts. School superintendents, principals and teachers were active in making sure their cafeterias and lunch rooms were still feeding students, she said. At Kids’ Food Basket, the organization diverted the “sack suppers” they send home with some 8,000 kids in Kent, Ottawa and Muskegon counties to central distribution points where families could easily pick up food. The five consecutive snow days called by most school districts was unprecedented, according to Kids’ Food Basket spokeswoman Ashley Abbott Bodien. 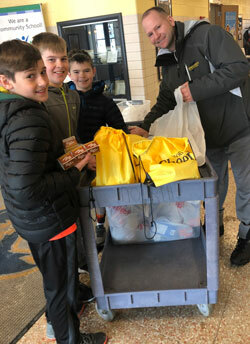 Instead of handing out their traditional sacks filled with food, the agency allowed families to pick up the food items they needed from downtown’s David Hunting YMCA, The Rapid central bus terminal, Seymour Christian Reformed Church in Alger Heights and Kids’ Food Basket’s headquarters. Kids’ Food Basket also distributed food at a number of locations today, Friday, Feb. 8. “In an emergency like this, we want to do everything we possibly can to make sure our community has the nourishment they need,” said Bridget Clark Whitney, CEO of Kids’ Food Basket. 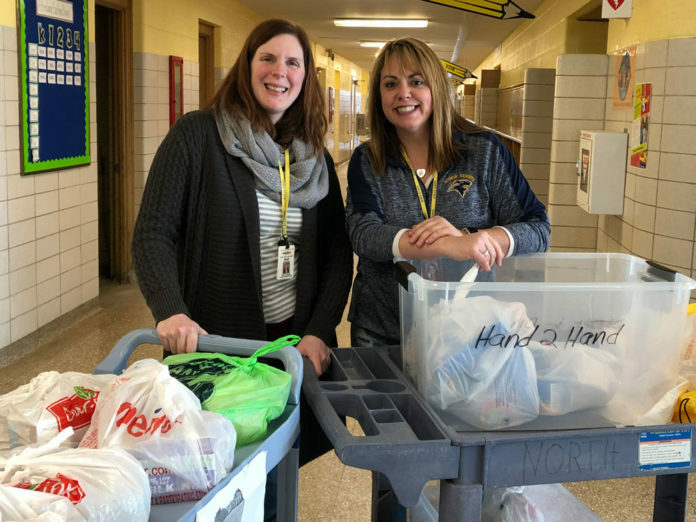 During a normal week, Kids’ Food Basket hands out the sack suppers at the end of the school day in schools where 70 percent or more of the student population receive free or reduced-cost lunch in Grand Rapids, Muskegon and Holland. “During severe weather events like this one, we all have to pull together to meet the critical needs of our community. 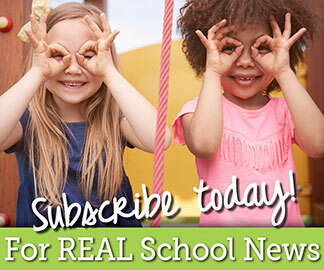 We’re glad Kids’ Food Basket reached out and are happy to support their efforts,” said the Rapid CEO Andrew Johnson. 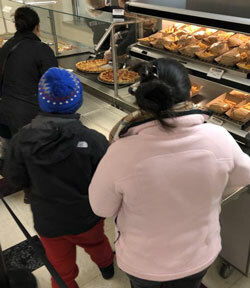 In some cases, school cafeterias opened their doors to families, in part to use up the food that they were unable to serve to their snowbound students. Wyoming Public Schools served 250 hot meals and distributed boxes of food at the high school to families. At the same time, the district partnered with Kids’ Food Basket and KSSN to provide free food including snacks and fruit. 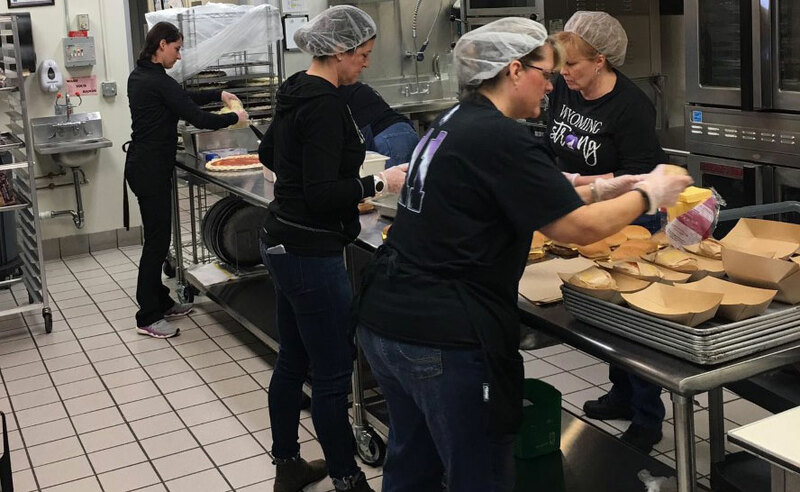 Kentwood Public Schools also served a hot meal for any students and families in need at the East Kentwood Freshman Campus. Wyoming Superintendent Craig Hoekstra said staff works hard to meet students’ needs and best support students and families, no matter the circumstances. This time it was hunger during a weather crisis. “Supporting our families through community partnerships is very important to us,” Hoekstra said. “There are countless examples of my staff going above and beyond in providing great care and support for our families. 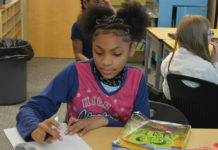 Cedar Springs school officials made sure that students in their district weathered the frigid week as well. KSSN coordinator Jennifer Willette, who works out of Red Hawk Elementary, said the local organization City Impact has long helped out the school and works closely with its students in Cedar Springs Mobile Estates. 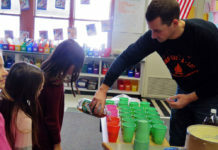 Hand2Hand, which partners with the fifth-sixth grade Cedar View Elementary, contacted families already enrolled in the program, said coordinator Terri Rosell. “We were there to make sure that they had enough food in the house,” she said. In partnership with Crossroads Wesleyan Church and the Cedar Springs Ministerial Association, Hand2Hand has agreed to ensure that families from all Cedar Springs buildings are helped when needed this year, Rosell said. At North Godwin Elementary School, Principal Mary Lang hatched a plan to distribute food and milk that schools had on hand. North Godwin partners with Hand2Hand, a program that provides bags of food for students to take home each weekend. The bags contain shelf-stable items like pasta, beans, rice, canned vegetables, cereal, and granola. Because volunteers pack two weeks’ worth of food in advance and keep it on site at North Godwin, 150 bags were ready to go. “We reached out to Hand2Hand and they said we were welcome to use that,” Lang said. 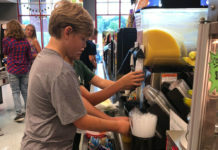 “We packed 50 more bags based on what they had on the shelves.” Each school in the district donated its milk — which would have expired before it could be consumed the following week — to the effort. A robocall went out to the homes of all students, and the schools announced the distribution via social media. A few bags went out on Thursday. 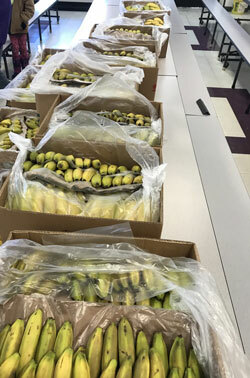 By Friday, a team of KSSN staff, teachers, principals, a paraprofessional and other volunteers had assembled to hand out the bulk of the food, which was distributed at North Godwin Elementary. Some bags were delivered to homes at the request of families who were snowed in. Staff also made deliveries to families who had not asked for food, but who they suspected might need it and not be aware of the distribution. James Harger reported on West Michigan's economy, courts and politics for The Grand Rapids Press and Mlive.com for more than 37 years. He also is employed as Servanthood Leader at Immanuel Lutheran Church in downtown Grand Rapids. A graduate of Central Michigan University, he also has worked for publications in Holland, Mount Pleasant and Lansing. He is married to Lisa and has one daughter, who lives in Ann Arbor. 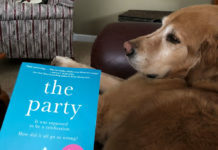 Read James' full bio.